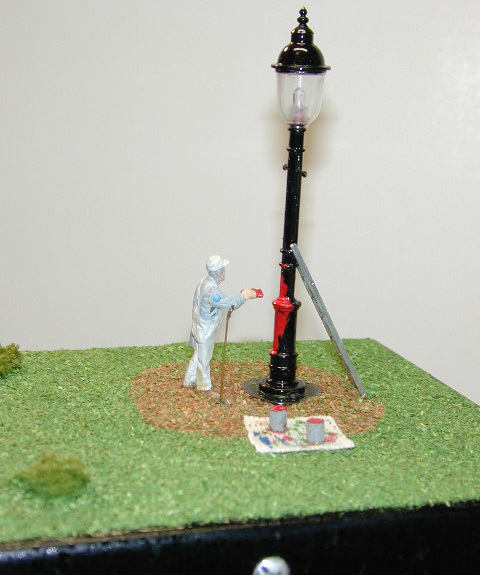 The 'O' Scale painter's arm moves up and down as he appears to paint this illuminated lamp post. May be used in any area on your layout. Fully landscaped with ladder, paint cans and tarp. Easy installation.